I have expended a great deal of effort in trying to elucidate the difference between (for example) positional and relational strategies, North-South dominant and East-West dominant approaches to leadership, one-sided and multi-sided understandings of the nature of demand, and triple- and double-loop approaches to learning. It all makes sense, but who really cares about this stuff? Experience working with these ideas within organisations – for example in health care, manufacturing, professional services, and government – has shown the extraordinary difficulty of taking up these ideas in practice. Not only difficulty but often active ‘resistance’ in the sense that clients choose to turn a blind eye to all the issues raised until easier to deal with. So even when people care, why is this stuff so very hard to tackle in practice? the first involved a chemicals business making the material for containers. Top management’s assumption was that R&D would develop products that the business would then sell. What actually happened was that each customer wanted a different product matching their particular needs for containing their products (e.g. food, drinks, meals). The product of the business became the research and quality control supporting each customer. Before it became a top-performing business within the larger group, its chief executive had a nervous breakdown trying to hold the tension between what the larger group expected, and what the business actually needed to do – a breakdown caused by the incommensurability of the two business logics – a push logic in the larger group, and a pull logic for the business itself. the second involved Orthotics clinics within the UK’s National Health Service. An approach to restructuring these clinics was developed so that the patients’ conditions could be managed through through their lives within the context of each individual patient’s life. A number of clinics in different Trust environments proved to the satisfaction of the UK Treasury that for every £1 spent on Orthotics services, the NHS would save £4. But the changes did not even survive in their pathfinder sites. The approach to change was judged to be incommensurable with the approach to change being used across the rest of the NHS. Again, people’s lives were damaged, not least of whom were those of patients. So what might the ‘something more’ be? I think it is that an hierarchical view of an organisation (what is later referred to as ‘classical’) involves a one-sided relationship to demand – the unit of organisation is designed to behave predictably independently of its environment. But an organisation designed to support multi-sided demands must not only treat each demand at its edges as different, but must also do so in a way that is dynamically responsive to the situation in which the demand arises – it has to be designed to do things in a way that can only be predicted if the dynamics of the environment in which this is happening is known. Such an organisation is inherently complex (not just more complicated), cannot be held accountable in the same ways as an hierarchical organisation, must be as good at collaborating as it is at competing, and must deal with detail at a much finer level of granularity. Managing such a business is like stepping into an alternate reality that uses business network models that are as different from existing hierarchical corporate models as quantum realities are to classical realities. Instead of dealing with well-defined aggregations of performance, individual differences have to be managed in ways that are driven by the particular and individual contexts-of-use. This is what leads to the incommensurability – the behaviour of the one-sided hierarchical aggregations follow different rules to the behaviour of the individual multi-sided relationships. In classical reality, you can know where a thing is and you can separate it out from other things in order to deal with it. 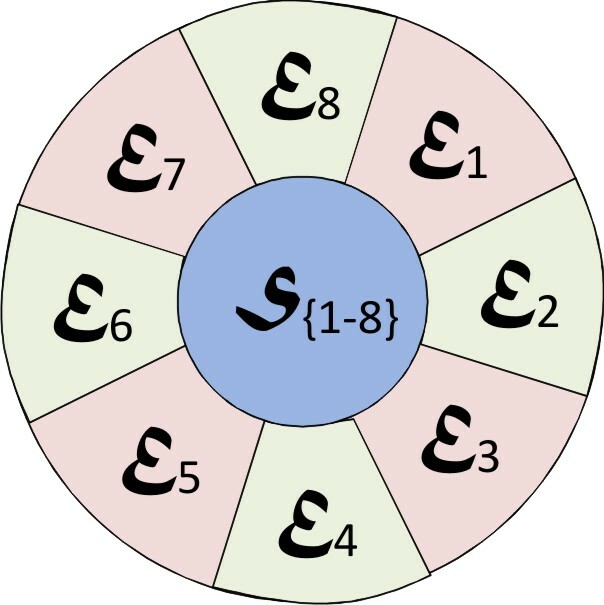 In a quantum reality, not only is there not a ‘thing’, but there is in its place a probability distribution of many possible states (superposition of states). This nature of this distribution is itself entangled with other distributions of states in its environment that affect each other in ways that defy classical explanation. 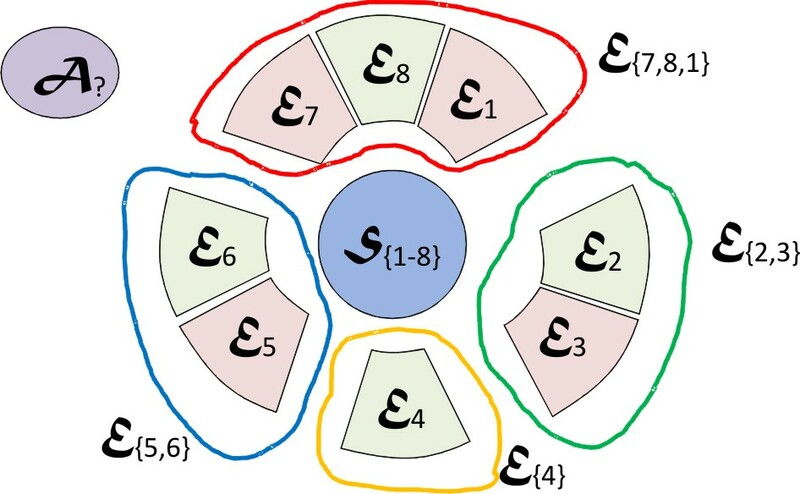 True, this entanglement may result in aggregations of quantum states behaving as classical ‘things’ because of the ways in which they suppress multiple (superpositioned) states to present singular states qua ‘things’ through a process of environment-induced suppression (einselection). And a distribution of states taking up a singular state may be brought about by a process of decoherence with respect to the environment with which it is entangled, raising the question of within what coherence frame is something to be known about a system i.e. within what ‘non-local’ context. From this perspective, a classical reality emerges from an underlying quantum reality. Something of the strangeness of this quantum reality can be seen in this YouTube – a quantum view of the world – which speaks of the underlying nature of the world as being all relationships and not things. 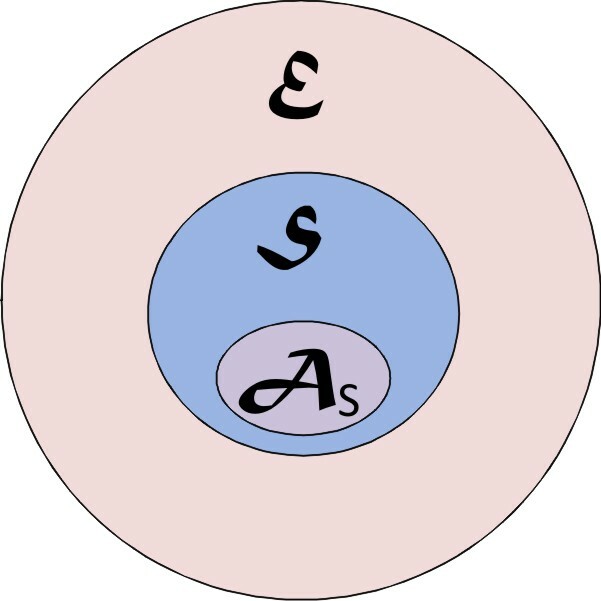 The ‘incommensurability’ then is that the behaviour of the one-sided aggregations follow a different (classical) logic to the (quantum) logic of individual multi-sided relationships. So how does this quantum metaphor apply to our understanding of organisations? It is in this sense that the notion of an enterprise moves from being based on a classical hierarchy to one based on the superposition of a number of different states for a given tempo of responsiveness to its environment, with all its implications for the agility of the enterprise’s infrastructures, and the need to shift the focus from the enterprise to its ecosystem. 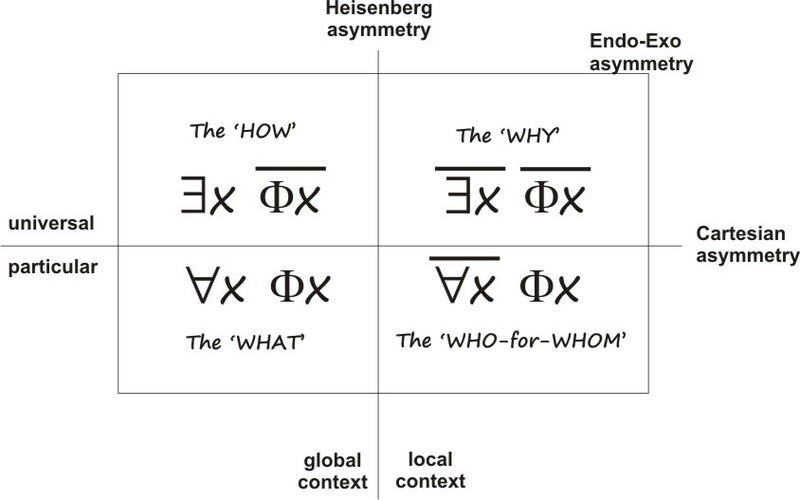 The Heisenberg asymmetry between behaviours that can be experienced across all sub-environments of a system (global) or only within particular sub-environments (local). Within crises of delegation in recognising new truths, where the third asymmetry, in describing the ways in which being is taken up (aka embodied), situates origination itself. What is the underlying ‘something’ to be understood? It is that the transition from a one-sided to a multi-sided relationship with an environment confronts the sovereign entity with a need for a fundamentally different way of managing its viability. This is based on the different order of complexity/granularity through which viable behaviours may be constituted, and the presumption of a corresponding quantum organisation able to creat agility through being able to superpose multiple states of relationship to its sub-environments within its overall behaviour. This is a reference to John Hagel’s work on Push versus Pull. A recent blog by him emphasises the extent of the shift involved in moving from scaling efficiencies to scaling learning… From Race Against the Machine to Race With the Machine. Written about in Meeting the Challenge of Health Care Reform, and Why critical systems need help to evolve. This is a reference to the distinctions between simple,, complicated, complex and chaotic in the drivers of organisational scope. This is an embarrassingly brief rendition of work that has emerged over the last 20 years centered around Wojciech H. Zurek‘s work starting at Los Alamos, supplanting the previously dominant Copenhagen Interpretation that subordinated the quantum reality to the classical reality. 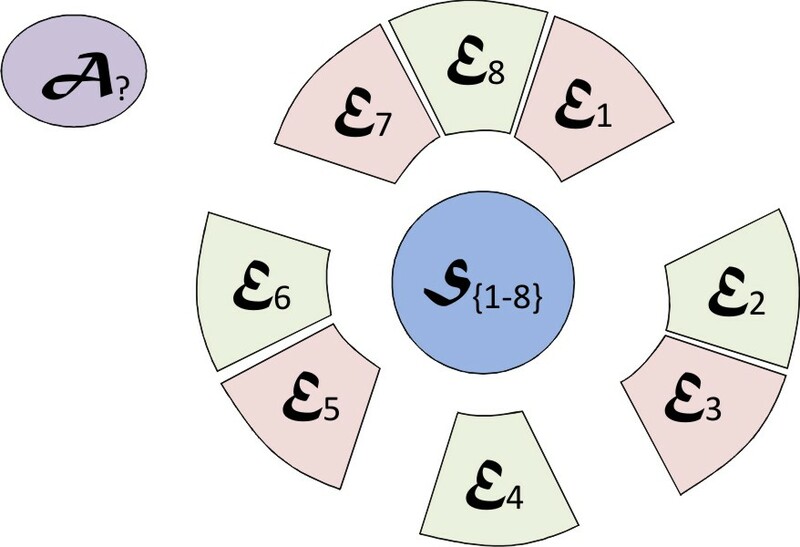 Some references are Decoherence and the transition from Quantum to Classical – Revisited, Decoherence, einselection, and the quantum origins of the classical, Quantum Darwinism, and Coherence Frame, Entanglement Conservation, and Einselection. The notions of information in a Quantum reality are summarised in the YouTube The Physics of Information, a useful paper being Quantum Darwinism: Entanglement, branches, and the emergent classicality of redundantly stored quantum information. Other examples are this YouTube – all we see & seem is but a dream within a dream – which takes a look at the challenges created by the effects of entanglement on measurement by an observer (i.e. the effects of entanglement on our ability to know things independently); and this YouTube – a quantum view of God – in which a religious reading is offered of this quantum view. i.e. to accept its necessary entanglement with its environment. This kind of environment was described in the 1960’s (in Volumne III of the Tavistock Anthology) as ‘turbulent‘. and its ‘bar’ represent the distinction between whether or not an experienced behaviour is subject to a model or not. If it is, then its experience can be inter-subjectively agreed by observers. and its ‘bar’ represent the experiencing of a singular behaviour by a system and the distinction between whether or not that experiencing is accessible across all of its environment or only in relation to particular sub-environments. and its ‘bar’ represent a generalisations about multiple occurrences of and its ‘bar’, the distinction between whether or not that generalisation is accessible across all of the environments of those occurrences or only within particular sub-environments.